A celebration of this heritage swimwear brand, established in Portland, Oregon in 1910. 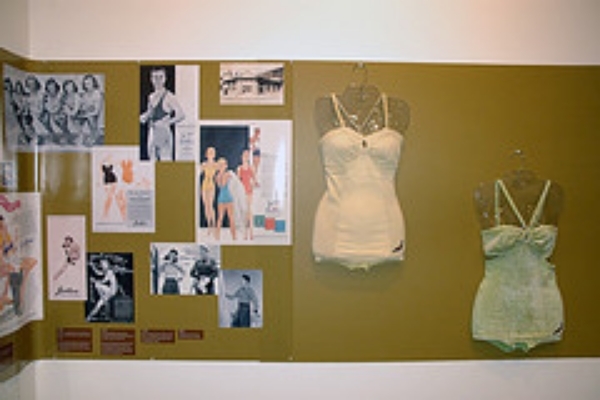 Jantzen changed the way women dressed for sports, with its body-conscious suits. 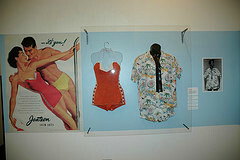 The exhibit showcased swimwear from every decade, along with a timeline of advertising art including vintage photographs of Marilyn Monroe, movie clips of Elvis Presley, and an iconic Diving Girl sculpture suspended above the gallery. 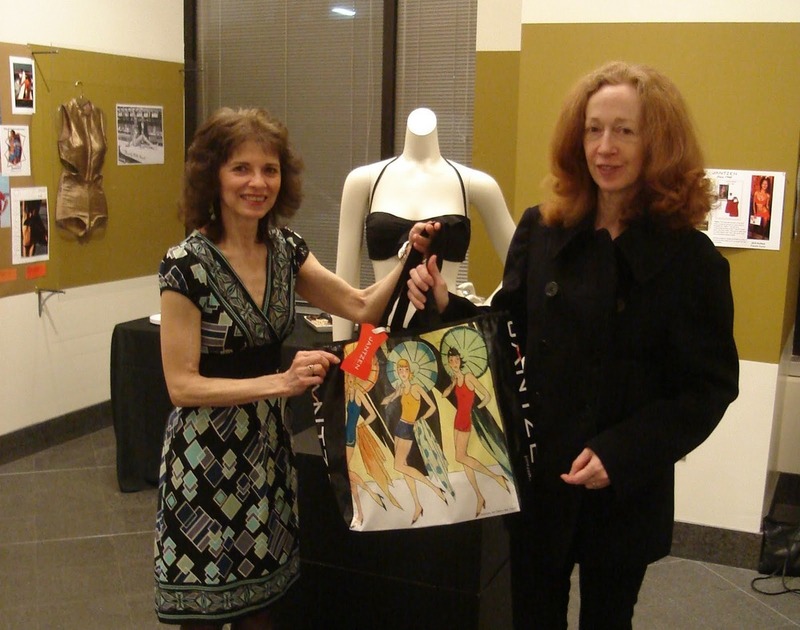 Co-curated with Jantzen archivist Carol Alhadeff.